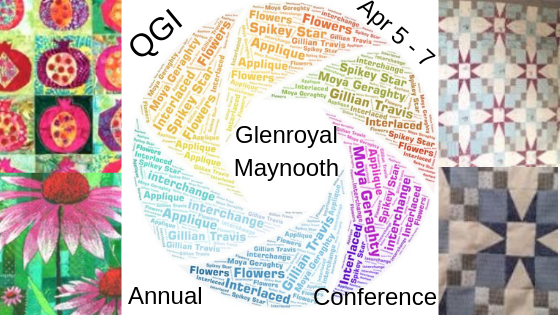 The QGI is proposing to run one day workshops in October. We are seeking expressions of interest from groups who could act as “hosts” for one of these workshops. The bulk of the places at the workshop could be taken by members of your group, but the workshop would be open to any QGI member. Non-members would need to join to do the workshop. The venue could be where your group usually meets, or at another meeting place / hotel. Depending on what skill or technique or project most of your group’s members would be interested in, we will source a workshop leader. Traditional or contemporary style of work can be catered for. At this stage we are just asking if you/your group would be interested in a workshop in October. We hope to run workshops in at least two regions, but the exact location will depend on interest from our members. If you are not a member of a regular group, this might be a great way to meet other quilters!